12 journeys reaching into hidden cultural gems—from Key West to Amelia Island. For those who enjoy the journey as much as the destination, this book is organized into chapters that range from day trips to weeklong excursions. Exploring Florida's less traveled regions, this guide has something of interest for everyone—the historian, the naturalist, the scientist, the mystic, the beach-lover, the gourmand, and the child in all of us. Traveler's tips provide expert insight into the state's true must-sees.Backroads&Byways of Florida is the shortest route a visitor can take to exploring like a native and for natives to delve more deeply into the history and magic of their home state. Zain Deane is an award-winning fiction writer and the author of Explorer's Guide Mexico's Aztec & Maya Empires; Explorer's Guide San Juan, Vieques & Culebra; Explorer's Guide Mexico City; Puebla & Cuernavaca; and Backroads & Byways of Florida. Deane lives in Fort Lauderdale, FL. An insider's guide to Toronto for all hockey lovers—fans and players alike. Guiding you to the best of everything in Vermontfor over 30 years! See why the Outer Banks is one of the most unique and cherished places in the U.S.
An insider's guide to NYC for the hockey-obsessed—fans and players, alike. Pimento Mac ‘n’ Cheese in 10 minutes? Bourbon Sweet Potatoes in 15? Pecan Cheesecake in 30? Yes! Instantly Southern is here. Accessible Korean cooking with a modern twist. Stunning photographs of two adorable cats—Instagram stars—who hike, paddle, and snowshoe through the wilderness. Identify maple, ash, oak, and more with easy-to-learn visual techniques . 100 scaled-down recipes for comfort. Step-by-step instructions for the seven core doughs of Jewish baking. Ever tried a Turkish borek ? Swedish kroppkakor ? How about Cajun meat pie? 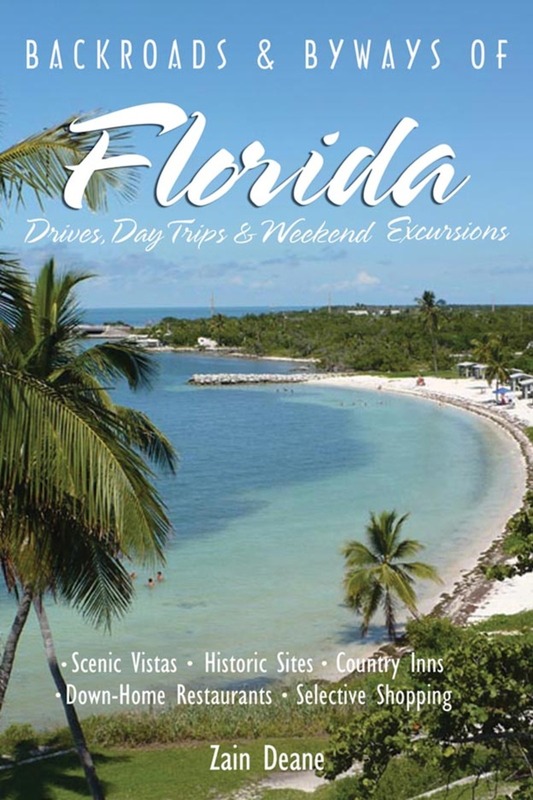 The trusted guide to Florida's premier Gulf Coast destinations—now with a brand-new look! With city sophistication and small-town charm, Wisconsin offers much more than cheese! The long-awaited cookbookfrom an immensely popular cooking blog. Challenging hikes to the precipices of dramatic cliffs, gentle walksto breathtaking waterfalls, and satisfying rambles to geologicalformations that reveal millions of years of natural history. In her second Dos Caminos cookbook, Chef Ivy Stark cooks tacos 24/7— here are more than 100 fresh yet traditional takes on tacos from Dos Caminos restaurants. Vermont was made for hiking! If you think New Mexico cooking is all about burritosand enchiladas, you’re in for a surprise! Guiding you to the best of everything in Vermont for over 30 years! The best of the best all along Maine’s magnificent coastline. Great hikes plus the natural and human history of each area. An Endless Vacation Becomes a Way of Life! Follow the footsteps of the father of American horror fiction. Enjoy great hikes from New Hampshire's seacoast to the Canadian border. Described as a nature photographer's paradise, Washington State presents amateur and professional photographers with an endless array of subjects, and there are no better guides to photographing here than Gordon and Cathie Sullivan, authors of twelve books on photography. Planning to bring your pup with you to New England? If so, this book will be your second most trusted companion. Completely revised and updated, this bestseller covers dog-friendly attractions, activities, lodgings, restaurants, and more. No matter where you are in the great Northeast, there are bound to be excellent walking trails. From the best of Detroit to the best remote angling spots and everyplace in between, this guide delves into the rich variety of Michigan. This completely updated treasury of trails takes you to the best wild places in the Garden State. In the this completely revised third edition of the classic hiking guide to Michigan’s Lower Peninsula, noted outdoor writer Jim DuFresne leads hikers on sixty hikes through the state’s unequaled system of national and state parks, natural areas, and wilderness tracts, where the scenery and trails are as varied as anywhere in the country. Some of the greatest vacation delights in the U.S. are waiting for you on the Cape. This completely-revised guide to hiking the Hudson River Valley reveals 50 walks and hikes from Westchester County to Albany County. A feast of sushi, soups, and salads that satisfy and slim! Explore sections of the famous Pacific Crest Trail between the Mexican border and Los Angeles County. Travel writer Marlise Kast-Myers includes both easy day hikes and extended overnight trips. Each route is accompanied by a detailed topographical map and the book is filled with spectacular color photos. Hawaiians pride themselves on being the most generous hosts in the Pacific. Find out what Aloha really means here, especially on the back roads, the less traveled parts of each island, in Backroads&Byways Hawaii. Unique itineraries, complete with lodging and dining suggestions, will make your trip truly unforgettable. Full of fun facts, myths, secrets, and cookie recipes apt to make you as famous as Amos among your family and friends, The Great American Chocolate Chip Cookie Book makes for great reading and great baking. After a getaway in gorgeous rural Vermont—its mountains ablaze in autumnal glory, its Main Streets quaint and welcoming—Ellen Stimson and her family make up their minds even before they get back to St. Louis: “We’re moving to Vermont!” The reality, they quickly learn, is a little muddier than they'd imagined, but, happily, worth all the trouble. The complete art-lovers guide to all the known and unknown art in New York City. Discover and explore the most fabled venues in American letters. The first—and still the best—guide to Oregon’swine country from well-connected local wine experts. Let this guide show you why the Outer Banks is one of the most unique and interesting places in the U.S. to visit. Maryland offers an abundance of natural and cultural riches, so make this guidebook your compass to it all. Easy access to cascades, cataracts, and more. Lace up your boots, grab this guide, and explore the great outdoors! Lace up your boots, grab this guide,and explore the great outdoors! Visit the birthplace of bluegrass, the Derby, and much of American history. See Colorado at its most enchanting: along the roads less traveled. 30+ Kayaking Tours Within One Hour of Washington, D.C.
Gain an insider’s vantage point on thisexceptional part of the Florida coast. A terrific guide to the history of Eastern Pennsylvania and its environs. The most delicious recipes of the past recast for today's home cook. Get great photos whether you use a cell phone or a top-of-the-line digital camera. Hiking routes let you explore the same areas of MA, NH, and ME that Thoreau explored. For farm-to-table cooking and dining like you've never seen it, Vermont is the place. To hike and explore the southwest canyon country is to experience a world unlike any other, and award-winning author Brian Lane places his nearly twenty years experience hiking throughout this area to good use in detailing day hikes and backpacking excursions. In addition to tourist attractions such as the Fisherman’sWharf, this guide presents the authentic Northern California experience. From the Blue Ridge Mountains to the beach, in this book travelers and their dogs will find hotels and inns that offer canine-inspired Southern hospitality as well as a wide array of things to do with your best canine pal. Virginia truly is for dog lovers. Highly recommended by Travel and Leisure and New Mexico magazines, this is the ultimate guide to Santa Fe and Taos. Thinking about hiking into the Grand Canyon? If so, this book is for you. Georgia is one of the top domestic travel destinations in the U.S. From ancient mountains and winding rivers to charming towns, plush coastal island communities, and the lively metropolis of Atlanta, Georgia: An Explorer's Guide offers a vast variety of opportunities for travelers of many interests. From the author of The New England Grimpendium comes a new travelogue and insider’s guide to wicked, weird, wonderful New York. This book emphasizes not only the flora and fauna but also what each trail has to tell people of all ages about Wisconsin and about the region’s past. Iconic sites like Mount St. Helens, Mount Rainier, and Grand Coulee Dam are complemented by those undiscovered places that only a longtime local can show you. An totally updated and revised edition to the most thorough guide to the Ocean State. From natural areas and historic areas in and around Philadelphia to the Amish markets of Lancaster Countyn, and much more, this guide offers great guidance for this fascinating region. Learn when, where, and how to photograph Baltimore’s Inner Harbor, the historic neighborhoods surrounding it, the Chesapeake Bay, and nearby cities. A totally updated and revised second edition of their historically insightful survey of Revolutionary New England. This in-depth, native’s-eye view of this varied region, which sprawls from Missouri to Arkansas, gives travelers the best of the Ozarks. In a new, updated edition, this comprehensive guide offers full coverage of both sides of the Tennessee–North Carolina divide. This is the quintessential hiking guide to this undiscovered region, which ranges from the northern tip of the White Mountain National Forest up to the pristine lakes just south of the Canadian border. This updated third edition offers day hikes for all skill levels and abilities, including an underground hike through an old gold mine and a climb to the top of the highest peak along the Blue Ridge Parkway. In this new guide, travel writer Christine Balaz distills her love of the outdoors and of beautiful Utah to bring you the inside scoop on these stunning parks. A revised 5th edition of a classic hiking guide to one of the most-visited regions of Pennsylvania. This sourcebook for scientific discovery is stuffed full of incredible facts and compelling data, offering readers insights, observations, and spirited examinations of the natural world. 12 itineraries introduce you to the Native American tribes of the Colorado plateau and take you to hundreds of documented and undocumented Ancestral Puebloan ruins, including those at major sites like Mesa Verde and Chaco Canyon. In this second volume of Michael Weeks’ thoroughly researched guide to the battlefields of the Civil War, you will find complete tours of every major military campaign in the region from 1863 to 1865. Learn how to capture the awe-inspiring mystique that imbues this place. Take to the road and explore the "other" Northern California, with its rugged beauty, small-town ambience, and, of course, all that wine. A beautiful photo essay of the jagged vistas of the Maine coast, the perfect memento for any visitor to this unforgettable place. A beautiful photo essay of the majestic purples of the Oregon coast, the perfect memento for any visitor to this unforgettable place. A beautiful photo essay of the the gardens, malls, and iconic edifices of our nation’s capital, the perfect memento for any visitor to this unforgettable place. Stunning photos and in-depth essays on more than 30 of Washington, D.C.'s gardens, some famous and other little-known gems, make this book a must-have for visitors and residents alike. Nowhere else has quite the allure that west Texas cities, plains, and ranchlands have; this book is your guide to it all. Experience great hiking in the scenic swath of Tennessee between Nashville and Knoxville. New in the exciting series that combineswanderlust with the art of photography! Enjoy everything Florida has to offer—with dog as your copilot! From the sophisticated resorts of San Miguel de Allende to the lively festivals of Guanajuato, these celebrated colonial cities situated in the mountains north of Mexico City will allure travelers of all types. The definitive guide, now fully updated, to the three most popular destinations in Puerto Rico. Jeff Counts gets behind the wheel to take us cruising the eclectic neighborhoods that comprise the “culture stew” that is Motor City—Detroit. Connect with the original New England. The new, amazingly detailed, and thorough guide from the author of The Complete Civil War Road Trip Guide . With Explorer’s Guides, expert authors and helpful icons make it easy to locate places of extra value, family-friendly activities, and excellent restaurants and lodgings. Regional and city maps help you get around and What’s Where provides a quick reference on everything from tourist attractions to off-the-beaten-track sites. This revised and updated guide provides the best lodging, dining, and activity suggestions for New England's most inviting region for lovers of the arts. This series provides invaluable advice by regional experts and master photographers on where to find the most stunning sites at their peak and how to shoot them. From real cowboys to the Dallas Cowboys, sushi to steakhouses, and honky-tonks to opera houses, Dallas/Fort Worth has it all. Expert coverage of the distinctive 47 miles of southern New Jersey shore region, from Atlantic City to Cape May. With natives as your guides, this series leads you down the road less traveled. With natives as yourguides, this series leadsyou down the road lesstraveled. Distinctly Maine: Active Shakers, ice harvesting, a museum on wheels, and more! Invaluable advice by regional experts and master photographers on whereto find the most stunning sites at their peak and how to shoot them. From ancient Baghdad, recipes for,and the stories behind, exotic and unusual treats. A travel guide for the paddling-inclined. Firsthand knowledge of the city's history and culture, insider tips,money-saving suggestions, and extensive trip-planning guidance, fromposh restaurants to favorite taco stands, elegant hotels to humblemotels on the beach. More than half of the country's population lives within a day's drive of West Virginia, and savvy travelers have known that it is the playground of the East. Find countless opportunities to capture the beauty and natural diversity of America's most visited national park. From historic and iconic Beantown bravado to modern skyscrapers andurban scenery and greenery, this guide offers more than 100 Boston photoopportunities. An exciting series that combines wanderlust with the art of photography. Explore Brevard County with this updated edition of the definitive guidebook to the area. In this fully revised edition, discover all the wondrous ocean vistas, relaxing resorts, and world-class deep sea fishing in this exotic environment. This Explorer's Guide focuses on the wide range of activities and vast culture of Southern California. A hike forevery interestand ability! For the independent traveler looking to go beyond tourist luaus and snorkel cruises, this new edition guides you to the best Oahu has to offer. Among mountains and desert, take in one spectacular natural wonder after another and capture the adventure of Arizona. A comprehensive guide with all the resources you need to explore, relaxand soak in the rich experiences to be had in this storied land. Delve in-depth intoAcapulco, Ixtapa, and Zihuatanejo. The definitive guide to these gorgeous and dramatic sites. A new edition of this encyclopedic guide to Arizona's array of natural wonders, recreational opportunities and world-class comforts. An updated edition of the most comprehensive guide to the area, full of spectacular scenery and ripe for outdoor adventure. A guide to the best beaches, restaurants, casinos and shopping—and everything else—that the Bahamas has to offer. A hike for every interestand ability! The definitive, comprehensive guide to Virginia Beach, Richmond and surrounding areas, with hundreds of lodging, dining, and recreational recommendations. Long a destination forserious surfers, El Salvador remains the “undiscovered” destination inCentral America, inexpensive to visit and richin local color. The most comprehensive guide to the Granite State. An insider’s guide to wicked, weird, and wonderful New England. Seventeen road trips and weekend getaways that reveal Washington's hidden charms. There's always fun brewing in Oregon! Now with color highlights inside! The definitive book on the Chesapeake Bay, with a new focus on Baltimore, Annapolis, and Maryland's portion of the Bay area! This comprehensive guide to Wyoming includes all of the expected attractions as well as many more far-flung and offbeat adventures, extensive outdoor recommendations and details on the cultural opportunities that abound. Camuto delivers insights on Mount Desert Island, a place of stunning beauty and natural wonders. Rich in Native American and Revolutionary War history, New York State’sLeatherstocking Country is a hiker’s paradise, blessed with a scenicrural landscape and abundant flora and fauna. Over 20 thematically organized weekend getaways throughout all corners of Long Island, including the Belmont Stakes, Shelter Island, Montauk, and more. Organized by borough, this guide helps photographers of any skill levelor interest capture the best shots in the Big Apple, from the BrooklynBridge to the Statue of Liberty, and all points in between. Detailed descriptions of nearly 100 of the top photographic opportunities to be found in Acadia National Park and nearby locales. The ultimate guide to pedaling through scenic country roads and beautiful farmland. The best hikes in—and beyond—the web of trails that covers the Anchorage area, from well-known treks to little-know gems. Detailed directions to the best photo opportunities in the region, by an experienced, world-class free-lance photographer. Detailed directions to the best photo opportunities in the region, by an experienced, world-class freelance photographer. This completely revised second edition of the definitive South Florida guidebook offers coverage of Tampa, the Gulf Coast, South Beach, Miami, and the Keys. Where can you see the Eiffel Tower, Caesar's centurions, the Sphinx, and an active volcano all on the same boulevard? Las Vegas, of course! A complete guide to the Mexican city offers thorough coverage of the region, from the Pacific Beaches to the Northern Sierras and the Oaxaca Valley, and Including detailed road-trip itineraries. This complete guide to Guatemala includes special sections on family travel, Mayan history and culture, and detailed itineraries. A complete guide to the populous Mexican capitol and surrounding areas. A comprehensive guide to Tucson and surrounding areas with hundreds of lodging, dining, and recreational recommendations. An easy-to-follow guide from a longtime local, offering up 12 unique road trips that will take you into the heart of the Grand Canyon State. The Photographer’s Guide to Montreal&Quebec City is designed to guide photographers of all experience levels, from beginners to professionals. From games of chance at Halifax’s Casino Nova Scotia to seafood of guaranteed freshness, excitement and pleasure attend visitors to these ocean-bound lands. The second book in the Immersion Travel USA series offers a one-of-a-kind examination of volunteer immersion opportunities throughout the US. Utah: An Explorer’s Guide introduces the reader to the best of the state’s accommodations, restaurants, and attractions. The Erie Canal: Great Destinations is the first comprehensive travel guide to New York State Canals and the communities and attractions found along them. Explorer's Guide The Alaska Panhandle covers the basics for lodging, restaurants, shopping, and recreational activities in this untamed paradise. It tells you how to get around in this distinctive 1,000-mile region where there are no roads between towns. 50 Hikes in the Sierra Nevada charts the thousands of miles of trails crisscrossing the Sierras’ pine clad slopes and stark, treeless mountaintops, that make this region a hiker’s paradise. Including the perfect mix of classic Sierra treks and lesser-known routes, the author has focused on the most scenic destinations. With natives at your guides, the Backroads and Byways series steers you down the most scenic and historic byways, with plenty of intriguing points of interest and places to eat, stay, and shop along the way. Old Ghosts of New England represents a unique marriage of the travel guide and the book of ghost stories – a traveler’s guide to the many purportedly haunted inns, restaurants, lighthouses, pubs, museums, parks, graveyards, and schools in the New England states – as well as a few of the region’s most infamous haunted houses. Great Escapes: Chicago presents fresh weekend escapes both in and around Chicago. Explorer's Guide Philadelphia, Brandywine Valley, and Bucks County: A Great Destination takes readers on a whirlwind tour of the many pleasures to be found in the Delaware Valley, a region famous for its rich history and natural beauty. Weekend Walks in Brooklyn is an invitation to explore many Brooklyn neighborhoods, from trendy DUMBO to Coney Island, from the Hasidic enclaves of Williamsburg to the scenic Narrows of Bay Ridge, and from Brooklyn Heights promenade to the tree-lined streets of Park Slope. This innovative guide will lead you through the birthplace of the blues, covering the world-famous attractions, historic sites, funky shops, and gold record legacies of Memphis and the surrounding Mississippi Delta. With fun and appealing party ideas, commonsense cooking tips, and selective menus for special occasions, The Best of Relish Cookbook is sure to make any get together or everyday family dinner a success. This completely updated third edition of Trout Streams of Southern Appalachia covers Southeastern hatches in Georgia, Kentucky, the Carolinas, and Tennessee. Jacobs includes detailed maps and access information for each stream covered. The Cheeses of California introduces readers to California’s artisan cheesemakers, and distinct California cheeses, with suggestions on where to find them and how to enjoy them. The Photographer's Guide to Washington, D.C.
Artisan Cheese of the Pacific Northwest is an in-depth guide to the region’s artisan cheeses. From spectacular desert landscapes to colorful fiestas, this easy-to-use guide features the best spots to photograph the natural sites, events, and historic places in the Land of Enchantment. A one-of-a-kind, invaluable resource for anyone who travels to Death Valley, this guide provides smart, practical advice to access its jaw-dropping natural landscape. A launchpad for you to get past strip malls and chain restaurants to the wild places and beauty of the region. Find the perfect spot for your beach blanket as you follow Trish to spectacular sun-splashed locations the crowds have yet to discover. With this guide, travel planning Florida's Gold Coast is a breeze. Explorer's Great Destinations puts the guide back into guidebook. A complete guide to this increasingly popular Hawaiian paradise known for its simmering volcanoes, sugary beaches, and exotic landscape. Six major islands. One indispensable guide. Insightful coverage of key Colonial and Revolutionary War-era historic sites throughout the Southern states. If your preferences in casual travel tend to lead off the beaten path, veering toward places offering vibrant art galleries, exciting art festivals, innovative theatre companies, art-filled coffee bars, and nightclubs showcasing local music talent, Art Towns California is the Golden State travel guidebook you've been waiting for. A complete guide to 50 walks and hikes in Michigan's Upper Peninsula,a burgeoning Midwestern vacation destination for outdoors enthusiasts. A detailed and informative guide to fishing Montana's 14 most renowned rivers and their tributaries, including Yellowstone and Glacier National Parks. A culinary travel guide to the best artisan cheesemakers in the state of Wisconsin. The first and most comprehensive guide to the region. Introducing Great Escapes: Selective guides for travelers who want to find quick trips and getaways within a specific locale. They take away the drudgery of sifting through online and printed travel info by listing only the most worthwhile events, activities, and places to stay and eat. Great Escapes: Selective guides for travelers who want to find quick trips and getaways within a specific locale. They take away the drudgery of sifting through online and printed travel info by listing only the most worthwhile events, activities, and places to stay and eat. A complete, user-friendly guide to Zion National Park, written by aninterpretive park ranger. It's like having a park ranger in your backpocket. 50 of the most scenic and spectacular walks and hikes in the Ozark Mountain range. With natives as your guides, this new series steers you down the most scenic and historic byways in the areas they cover, with plenty of intriguing points of interest and places to eat, stay, and shop along the way. Shoot perfect photos of landscapes, places, and people with pointers from a renowned photographer. A guide for kayakers and canoeists to find access to the safer alongshore waters of Long Island Sound. Explorer's Great Destinations™ puts the "guide" back in "guidebook." "Consistently rated the best guides to the regions covered...Readable, tasteful, appealingly designed. Strong on dining, lodging, culture, and history. "— National Geographic Traveler . Including New York, Pennsylvania, New Jersey, Delaware, and Maryland,this absorbing historical guidebook brings to life the formative yearsof the United States, reaching from the 1600s, through the colonial era,the French and Indian War, and the Revolutionary period, up to 1812. The perfect keepsake for those who cherish the most colorful time of the year in New England. Shoot perfect photos from digital and film equipment with pointers from one of the region's most renowned photographers. This essential guide to eating along the Maine coast has dozens of new entries and updates in this new second edition. Photographer David L. Anderson has hiked many miles of the Pacific Coast, Oregon Cascades, Washington Cascades, eastern Oregon, and eastern Washington to find these regions' most spectacular waterfalls. Expert photography advice the author provided to visitors to Yellowstone when he served there as the Kodak Ambassador in Yellowstone National Park. Seasoned hiking author Johnny Molloy details 50 hikes of varied lengths and difficulties throughout verdant South Carolina, from the Chattooga River to the varied terrain of the Midlands, including Congaree National Park, all the way to the Lowcountry, land of beaches and forgotten swamps and designated wildernesses. Discover a wide variety of year-round weekend activities anditineraries in one of the smaller, yet diverse, states in the country. Colorado's spectacular ski towns—like Aspen, Vail, Telluride, and Crested Butte—offer far more than just skiing: they offer some of the best hiking, mountain biking, fishing, shopping, dining, and lodging in the world, and all year round to boot. The fertile waters of Long Island Sound defines the character and scope of the Island's angling potential. A unique guide for the millions of American urban dwellers andsuburbanites seeking quick getaways to small, breathtaking locales wherethere are pulse-quickening activities but a slower pace of life. An amazing and deeply insightful account of how two guys decided to embark upon the unthinkable: an attempt to circumnavigate the globe using just human-powered means. The only comprehensive restaurant guide to the Hudson Valley: New York City's local food source and one of the most celebrated and unique epicurean destinations in the country. A comprehensive guide to all the best places to visit, enjoy a meal, and stay in New York City, for travelers and residents alike. A detailed guide to the best trout waters in the Blue Ridge mountains of Virginia. The classic cookbook from New England's most historic and widely loved inns, revised and updated with new recipes. Cycling rides on quieter, less-traveled roads and byways easily accessible fromNew York City. The definitive bicycling guide to Vermont—completely revised with hundreds of miles of new riding and more information about history, geography, and special places. The first comprehensive flatwater paddling guide to Utah's lakes, rivers, and reservoirs. This updated guide covers a wide selection of mountain biking routes along the Hudson River. The most comprehensive resource for sea kayak trips along the entire Maine coast. A fully-updated eighth edition to the guidebook that launched the Great Destinations series. A foodie's guide to the most flavorful and freshest seafood dishes and funkiest digs along the coasts of Maine, New Hampshire, Massachusetts, Rhode Island, and Connecticut. The most popular hiking guide to Massachusetts. This latest addition to the Photographer's Guide series is the first how-to/where-to guide to photographing more than 100 sites spanning the entire coast of California. The Canyon Country of the Southwestern U.S. hosts some of the most unusual and beautiful landscapes and geography in the world. These awesome displays of the sculpture-making capabilities of nature are stunning in their shapes, varieties of color, and the ways in which they capture the sunlight. A complete guide to the best locally grown or locally produced foods in Napa and Sonoma Counties and environs, including San Francisco and the Bay area. Explore the marvels of the American West with this guidebook. Explore the ancient realm and mysterious secrets hidden within the forbidden depths of Canyon Country. Take a tour that follows the military movements through the Champlain Valley region and allows you to relive history. An all-new comprehensive companion for your pooch from the author of Dog-Friendly New England and Dog-Friendly New York . A classic of Cape Cod literature and a great piece of nature writing, The House on Nauset Marsh is a lyrical, poignant and often humorous work of a much-loved land and the people who called it home in a simpler time. A richly detailed guide to 30 of the best sea kayaking day trips spanning the coastline of the Old Dominion. A guide to the best walks, hikes, and backpacks the Evergreen State has to offer. A gentle hiking guide to Rhode Island's diverse natural and historic treasures. Explore natural wonders and wild terrain in some of Oregon's most scenic and diverse areas. A fascinating weave of science and memoir by a naturalist who draws inspiration from life among the coastal islands of Virginia. Includes more than 100 essential Louisiana eating (and drinking) experiences. The only nature guide to New York City endorsed by the Urban Park Rangers. A travel guide for people who really want to do something fun, offering 52 fresh, year-round suggestions for enjoyment in the Garden State. A new and stunning book of photographs and essays from the photographer and writer of Hudson River Journey . Explorer's Guide New Jersey is the most comprehensive travel guide you'll find on the Garden State. Savor the magical harmony of contrasts—from mountains to the sea, cosmopolitan cities to the rolling hills of wine country. The essential insider's guide to exploring the Central Coast's wineries, restaurants, recreation, culture, and accommodations. Allison Blake explores Chesapeake Bay—distinctive lodgings, aquatic adventures, and tucked-away towns. For travelers who want the adventure of a lifetime but have only one weekend, this is the book. Discover creative communities, fresh air, and ideal getaways. A guide to a region where spectacular scenery, gently rolling hills, and fascinating history combine for the perfect cycling experience. An extensive guide to the best hiking Arizona has to offer. A complete guide to fly fishing and visiting the hundreds of miles of bayous, coastlines, and the Mississippi River Delta. Go deeper into the Grand Canyon, beyond its rims, by taking an expedition to the most remote, beautiful, and rarely seen vistas in North America. A complete guide to paddling the calm, low-risk waters of the Narragansett Bay system for canoeists and kayakers of all abilities. A guide to the premier cycling destination in New England, a region of outstanding scenery, with lightly traveled, good quality roads, attractive and historic towns and villages, friendly residents, and a range of lodging and dining options. A guide to bicycling New Hampshire's most scenic backroads and byways, for road, mountain, and hybrid bikes. A comprehensive how-to/where-to guide to photographing more than 100 sites along the coast of Maine. More than just a hiker's guide, this guidebook describes more than 200 waterfalls in the Mid-Atlantic region, along with instruction on how to reach them. The classic guidebook to a cyclist's paradise. Whether your taste runs to an easy stroll or a trek to a high peak, anyone can discover the beautiful Berkshire Hills using this detailed, well-organized guide. Explore the historic sites, monuments, and architecture of America's capital and environs on foot, and at your own pace. Never leave your best friend behind again! The definitive sea kayaking guide to the Chesapeake Bay region offers information and guidance for 30 paddling trips. An definitive cycling guide to scenic back roads in the Blue Ridge and Great Smoky Mountains region of Georgia, Tennessee, North Carolina, and Southern Virginia. A comprehensive how-to/where-to guide to photographing more than 100 sites. This is the first guide to thoroughly examine and critically describe all that this charming region has to offer. This unique guide recommends more than 80 traditional hunting and fishing lodges in backwoods Maine that offer vacation packages for curious travelers as well as sportsmen in search of an unusual getaway. This comprehensive trail guide describes hiking, mountain biking, and cross-country skiing routes on more than 200 miles of trails in New York State's legendary Shawangunk Mountain Range. This classic guide to hiking in the Adirondacks has been extensively revised and updated and now includes 5 new hikes. This guide to hiking Colorado's trails includes the EasternPlains, the Front Range, the Northern and Central Mountains, the SanLuis Valley, the Southern and Southwestern Mountains, and CanyonCountry. This complete traveler's guide to the 1,100-mile coastline of California includes recommendations on where to find: beach access from Oregon to Mexico; romantic inns and B&Bs; hiking and camping; the best surfing; nature preserves and redwoods; museums and missions; and more. Rides for both road and mountain bikes on paved roads, dirt lanes, and mountain trails throughout the state. A guide to more than 40 walks and hikes along the New England coast. Discover all Cuba has to offer in this complete cycling guide. In this groundbreaking new book, wine authority Marguerite Thomas both defines the East Coast Wine Country and conveys all the exciting developments in this fast-growing region. Where to find the best fresh, authentic local foods in New England, from Connecticut to Maine. Explore Kentucky's extensive, diverse, and often overlooked network of trails. Stephen Jermanok has travelled the New England coast from Connecticut to Maine to recommend dozens of outdoor sports and activities for travellers. This companion volume to Explorer's Guide 50 Hikes in Ohio showcases even more hiking opportunities in the Buckeye State. A fully revised edition of the classic hiking guide to Connecticut. An updated guide to one of the East Coast's most popular hiking venues. The definitive guide to this trout-fishing mecca, which includes several of Trout Unlimited's top 100 trout streams in the country. This cookbook also explores the cuisines of the region's many ethnic groups with roots in England, Ireland, Italy, Portugal, Quebec, Poland, Asia and Africa. Richard Brown’s window onto the soul—of Vermont. Michigan's fly-fishing biblenow revised and expanded with coverage of seven new rivers. A new guide to the outstanding hiking opportunities to be found in the mountains, ridges, and valleys of eastern Tennessee. A detailed guide to more than 100 rides in every biker's dream country—the canyons, dunes, and mountains of Utah and Colorado. A complete adventure guide to California's astonishing array of national parks features 92 road and mountain bike rides through the state's most spectacular natural areas. Tanglewood, Jacob's Pillow, MASSMoCA, the Norman Rockwell Museum... these are but a few of the Berkshire museums and performance spaces that attract MILLIONS of visitors each year who hail from Philadelphia to Boston and beyond. A bestselling guide by the dean of Pennsylvania hikers. Pennsylvania is renowned for its well protected and uncrowded trout streams, and this guide has established itself as the trusted resource for resident and visiting anglers. This guide to over 100 waterfalls in the White Mountains of New Hampshire tells the best times of year and vantage points from which to view them, and also gives suggestions for further hikes, swimming holes, and uncrowded picnic spots. Written by local experts, our paddling books are indispensable resources for kayakers and canoeists. A guide to the sandy beaches, old whaling towns, lighthouses, cranberry bogs and sheltered coves of Cape Cod, Martha's Vineyard and Nantucket. A definitive guide to the mountain inns of Switzerland—her "Berghotels": how to reach them, what to expect, what to bring, and day hikes in detail for each of the 66 Berghotels described, in every region of the country. A touring guide to one of the finest cycling areas in the Midwest—a land of gently rolling hills, lakes and rivers, quiet roads, and historic bike trails. Northern New York's rich heritage comes alive in this entertaining guide to hundreds of museums, historic sites, forts and homesteads. The perfect companion for a stroll in the Berkshire hills and fields. One of the last great wildernesses in the world and a backpacker's paradise, Alaska is also a land of extremes. Walks in Nature's Empire guides you through some of the Empire State's loveliest and most ecologically important sites. This pastoral region of hills, forests, lakes, vineyards, and gorges offers the hiker some of the most scenic landscapes in the Empire State. With a delightful sense of humor and a talent for discovering fascinating historical facts and anecdotes, Arline Zatz introduces each place, then adds detailed information on its location, admission, hours, and on other nearby attractions.